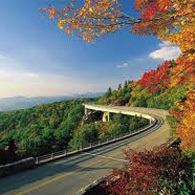 Curious Sense chose to re-locate to Asheville based on the area’s quality of life, its rich cultural and creative heritage, and for the beauty of this region of North Carolina. “We have always loved visiting Asheville,” said Adam Blumenthal, CEO & Chief Strategist at Curious Sense. “Earlier this year my wife was inspired to suggest moving our family and business here. After meeting members of the business community and imagining our company in Downtown Asheville, we decided now was the perfect time,”. Blumenthal’s wife, Juditta Musette, is a creative director at the company. Curious Sense got its start in the summer of 2008 and has grown to eight employees. The firm develops new kinds of online and mobile products for some of the world’s biggest entertainment companies. Their innovative work has been recognized by publications such as The New York Times, NPR, NBC, MTV, and Billboard. “Curious Sense is a great example of our tourism industry creating opportunities for economic development here in Asheville and Buncombe County. Having more visitors to our community helps generate interest in moving families and companies to our beautiful mountain home,” stated K. Ray Bailey, Chair of the Economic Development Coalition for Asheville-Buncombe County. The EDC for Asheville-Buncombe County is a public-private partnership committed to: creating and retaining high quality jobs, community leadership, and being a resource for better business decisions. The EDC accomplishes this mission through its four core services: business retention & expansion, small business & entrepreneurship, research, and marketing & recruitment. The EDC is funded by Buncombe County, the City of Asheville, the Asheville Area Chamber of Commerce and the Advantage Asheville Campaign.